Continuing their momentum from an impressive run to the David C. Johnson Memorial final last month, Chris Callis & Bernardo Samper went one better at the 2018 Graham Company Cup, claiming their first title of the season this weekend at the Germantown Cricket Club. The twelve-team draw played out according to seeding with the top four seeds advancing to the semifinals. The weekend saw the return of John Russell following an injury spell that kept the Englishman off tour since December’s Briggs Cup. 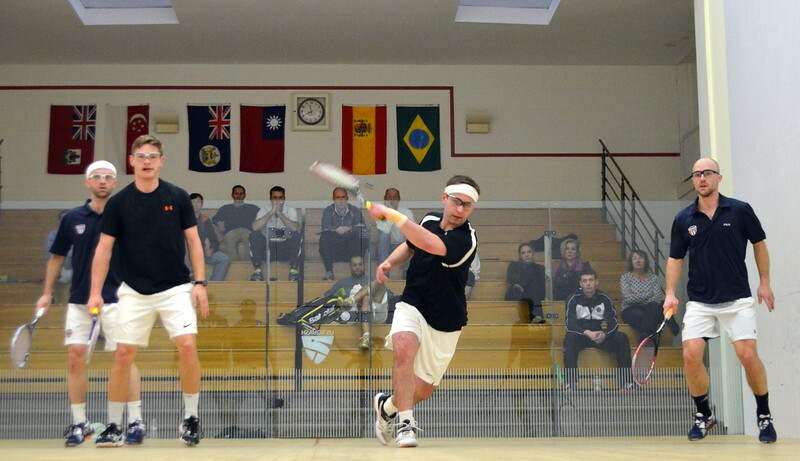 Russell & Scott Arnold slotted into the draw as the top seeds, progressing to the final courtesy of a four-game victory against four seeds Clive Leach & Jonny Smith in the semis. 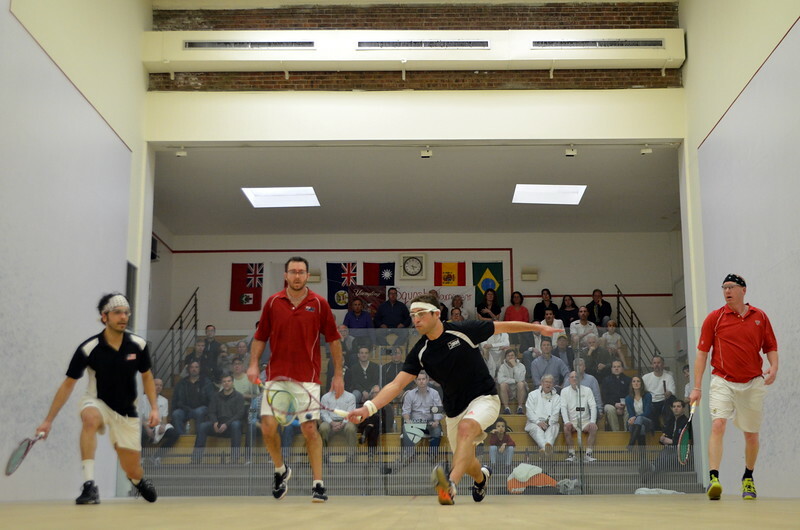 Callis & Samper moved through the bottom half of the draw with two clinical 3-0 wins against Bobby Burns & Hamed Anvari in the quarters and three seeds Matt Jenson & Greg Park in the semifinals. 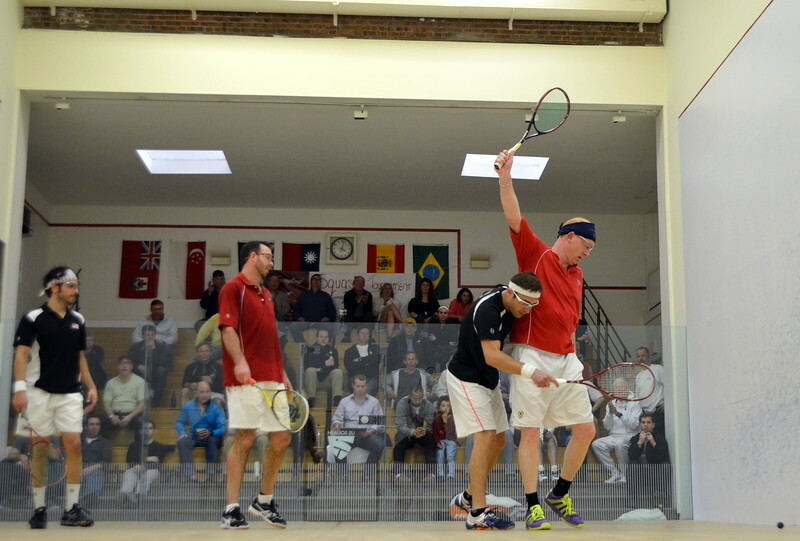 In the final, Callis & Samper controlled the match to claim their first title of the season against Russell & Arnold 15-9, 13-15, 15-9, 15-10. 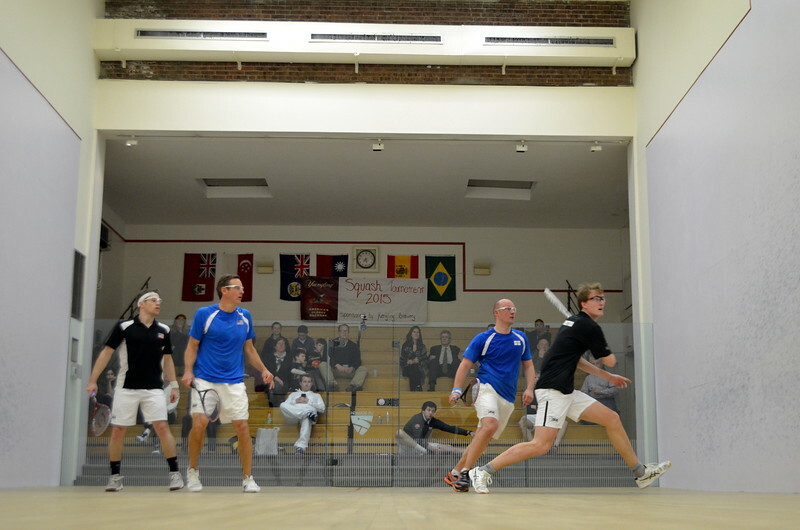 The final was the first match up of the season between Russell & Arnold and Callis & Samper. 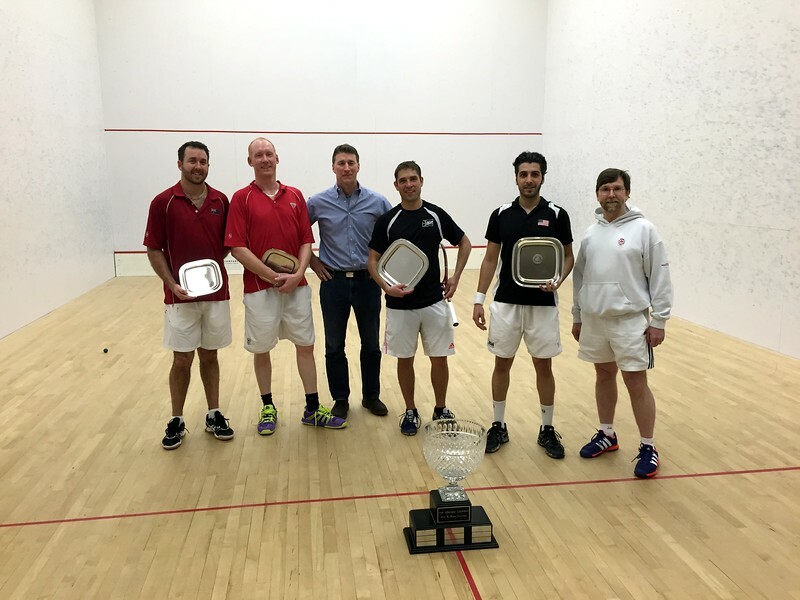 Callis & Samper have enjoyed their SDA tournaments in Philadelphia, with the Graham Company Cup following up their most recent title–the 2017 Tompkins Cup at Racquet Club of Philadelphia last April. 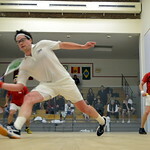 View images in the SDA SmugMug Gallery. Watch full match replays below. For the first time in the Graham Company Cup’s eighteen years, the tournament elevated its prize money to the $25,000 SDA Silver level, opening the event up to the tour’s top teams including world No. 1 and world No. 2 Manek Mathur & Damien Mudge, who recorded a seventh consecutive title this weekend at the Germantown Cricket Club in Philadelphia. For the second consecutive tournament, the top seeds did not drop a game on the way to claiming a seventh title out of eight tournaments this season. 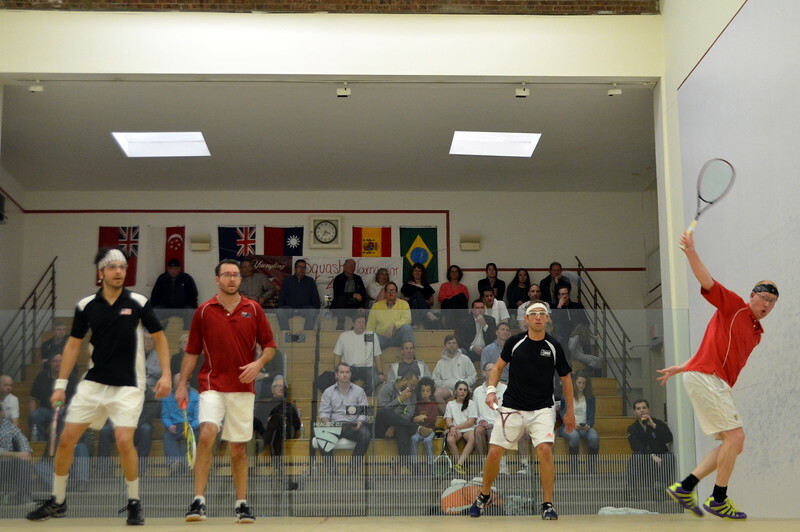 The twelve-team main draw played out according to seeding with the top four teams progressing to the semifinals. 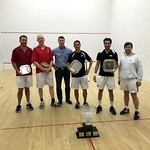 While Mathur & Mudge needed just three games against four seeds Raj Nanda & Clive Leach to reach the final, two seeds John Russell & Yvain Badan came back from 2-1 down to beat three seeds Johnny Smith & Chris Callis in five games. 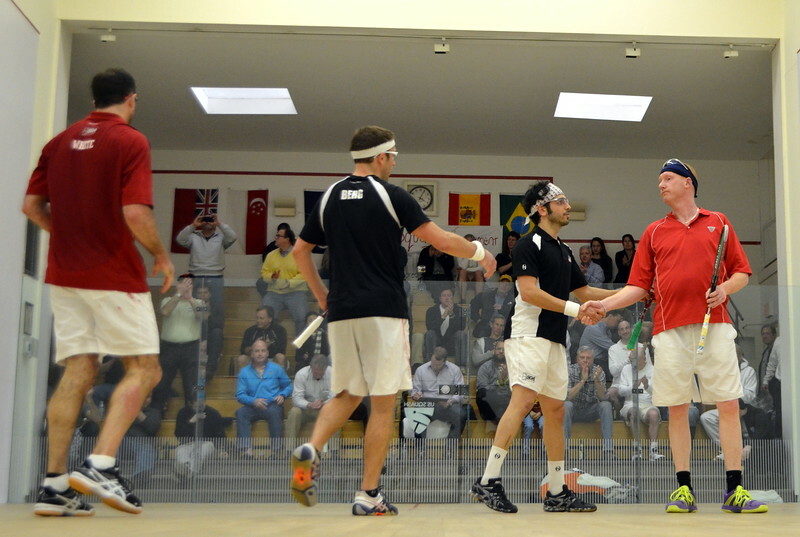 In the final, Mathur & Mudge fired their way to their inaugural Graham Company Cup title 15-8, 15-10, 15-13. 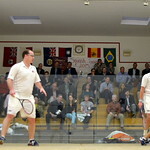 The Graham Company Cup was the first SDA event in a month since Mathur & Mudge claimed the Johnson Memorial title in February—also without dropping a game. Both Mathur & Mudge made their Germantown debut thanks to the increased prize money in 2017. 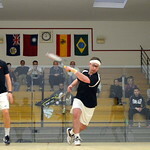 View images on the tournament Smugmug page. Watch Graham Company Cup replays below. l-r: James Stout, Jacques Swanepoel, tournament chair Doug Veasey, Chris Callis, Mike Ferreira. 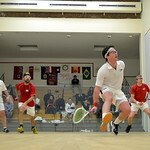 Mike Ferreira won his second SDA title in just as many weeks at the Graham Company Cup, but with a different partner this weekend—Chris Callis—who celebrated his maiden SDA title on the court where he first played doubles at Germantown Cricket Club. 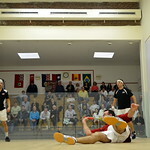 Ferreira & Callis have enjoyed a successful season together, reaching the Maryland and Baltimore semifinals, Johnson final and now claiming their maiden title together in Philadelphia. The Graham Company Cup enjoyed elevated prize money offering $20,000 to a draw with plenty of Philadelphia flavor. 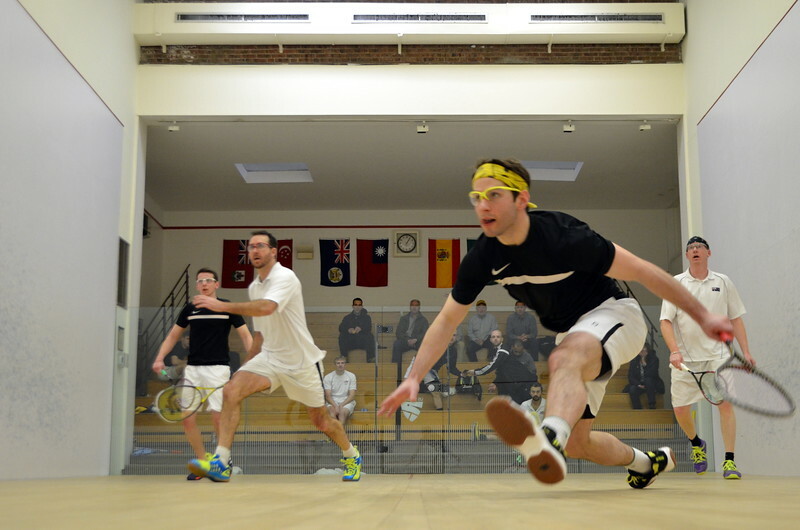 Two qualifying draws saw Philly sides Ed Garno & Alex Stait and Matt Domenick & Gilly Lane move to the main draw, as well as Trinity grads Johan Detter & Parth Sharma—another Philly local—who moved to the main draw as lucky losers due to an injury to top seed John Russell. 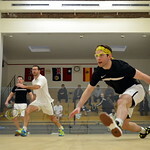 After defeating Detter & Sharma in a five-game qualifying final, Garno & Stait drew them again in the first round, this time advancing in three games. Finalists James Stout & Jacques Swanepoel survived a difficult first round, coming back from 2-0 down in games to defeat Graham Bassett & Fred Reid. 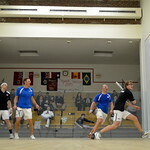 Stout & Swanepoel then advanced to the final in three games over Garno & Stait. 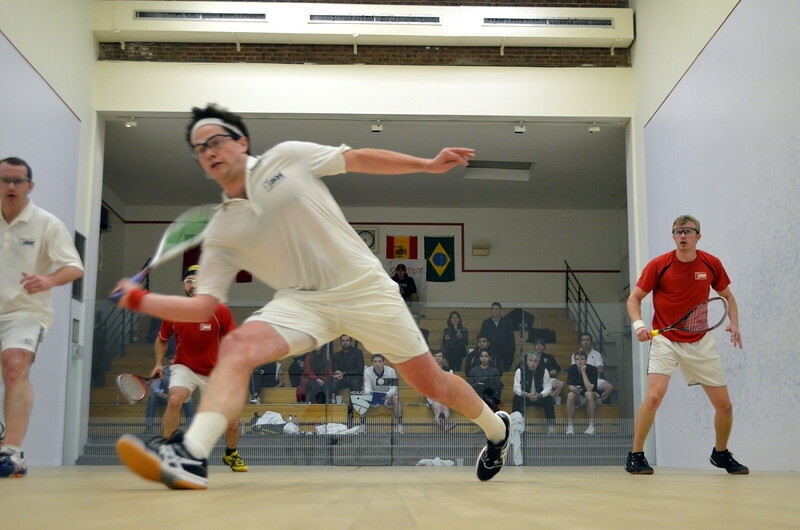 In the bottom half of the draw, two seeds Ferreira & Callis advanced to the final with two, three-game victories over Randy Lim & Antionio Diaz in the quarterfinals and Andres Vargas & John Roberts in the semifinals. The final pitted last weekend’s Hashim Khan champions, Ferreira & Swanepoel, against one another. 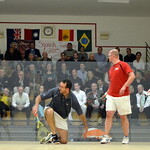 A marathon five-gamer ensued with Ferreira & Callis coming back from 2-1 down to win 13-15, 15-12, 10-15, 15-11, 15-11. Watch the Graham Company Cup final replay here. The 2015-2016 SDA season has just three stops left with the inaugural $20,000 Ridley Windows and Doors Cricket Club Open in Toronto up next, April 8-10. 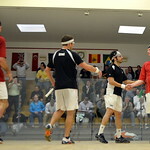 L-R: Viktor Berg, John White, Hamed Anvari, Shane Coleman. 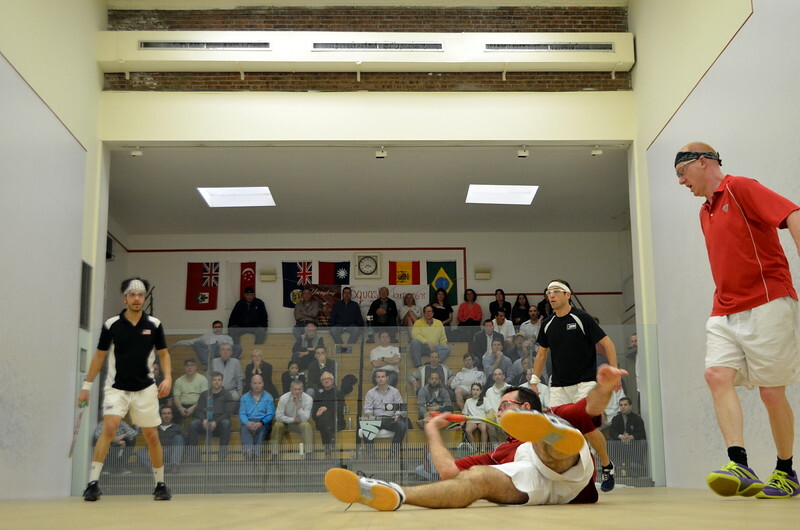 Playing in their third tournament together, Hamed Anvari & Viktor Berg have won their partnership’s second title this weekend—the $15,000 Graham Company Challenger at Germantown Cricket Club in Pennsylvania. 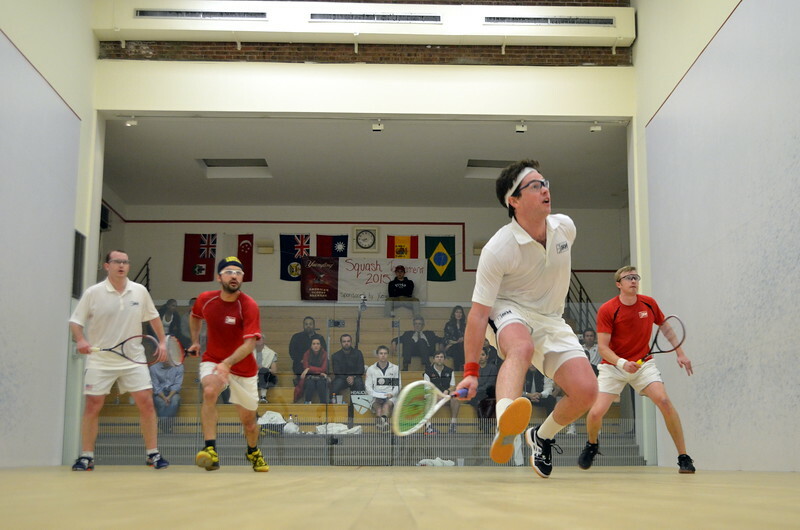 Adding to their $25,000 St. Louis Open title in January, the veterans topped an eight-team main draw strewn with local flavor. Philadelphia-locals and U.S. National Team coaches Adam Hamill & Gilly Lane joined forces in qualifying to first defeat Asad Khan & Jordan Greenberg in four games Thursday night, before upsetting the young pairing of Matt Domenick & Navy’s intercollegiate doubles champion Andrew McGuinness in three games. 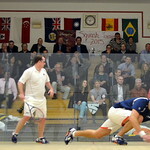 The second qualifying final also produced a local side in the form of Drexel Head coach and former world No. 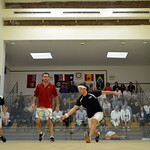 1 John White, and Cynwyd Club’s Shane Coleman, who fought off a match ball in the fourth game against the other Domenick twin, Alex, and Racquet Club of Philadelphia professional James Asher, to win the qualifier in five games. 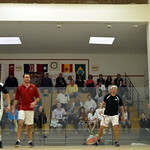 In Friday’s main draw, Hamill & Lane became the first fodder for Anvari & Berg in the eventual champions’ opening match, while Coleman & White went on to produce the upset of the tournament, taking out second-seeded Imran Khan, world No. 14, & four-time Graham Company champion Greg Park, world No. 11. 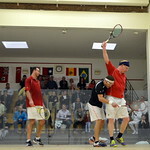 Coleman & White recovered from losing the first game, to win the match in four 6-15, 15-12, 15-8, 15-8. 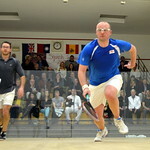 Coleman & White’s upset made for a Philadelphian semifinal against Ed Garno & Alex Stait, who knocked out third-seeded world No. 36 Johan Detter & Ned Marks in a four-game opener. 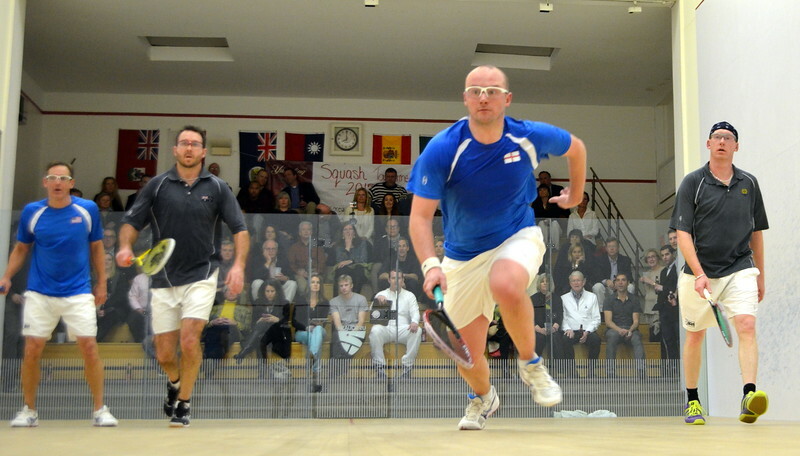 Another five-gamer beckoned for Coleman & White, who recovered from losing the first two games 14-15, 12-15 against Garno & Stait, to book a place in the final winning the final three games 15-14, 15-9, 15-8. 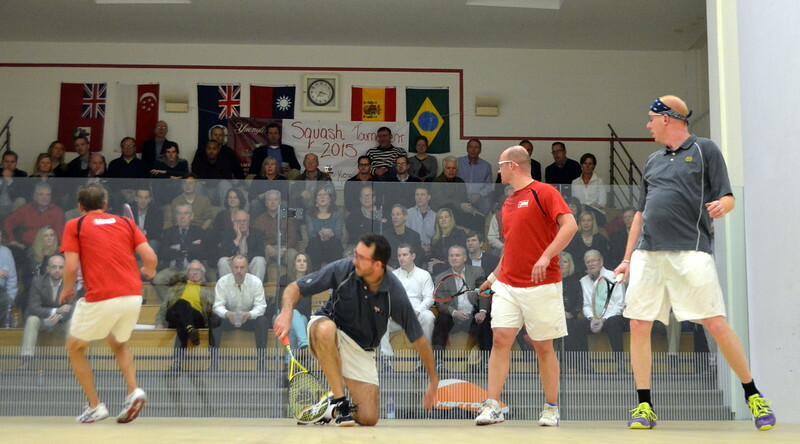 In the final, Hanvari & Berg employed a well-calculated strategy against the tall frames of Coleman & White, getting the better of the locals 15-13, 13-15, 15-12, 15-9. 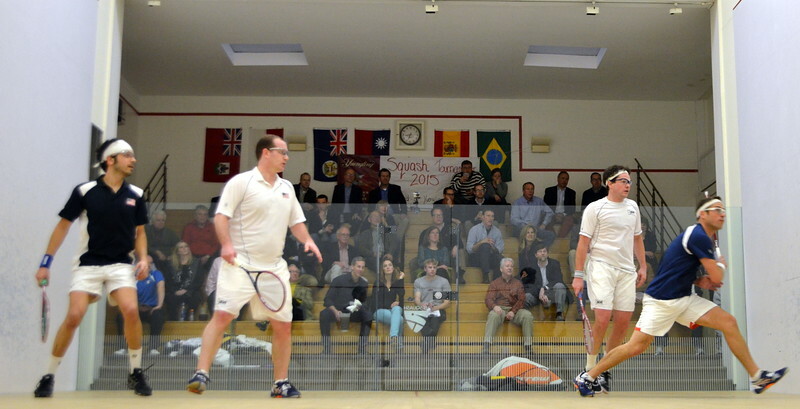 As the 2014-2015 season winds down, Anvari & Berg have now claimed two titles in three tournaments together, including reaching the Chilton North American Open semifinals.